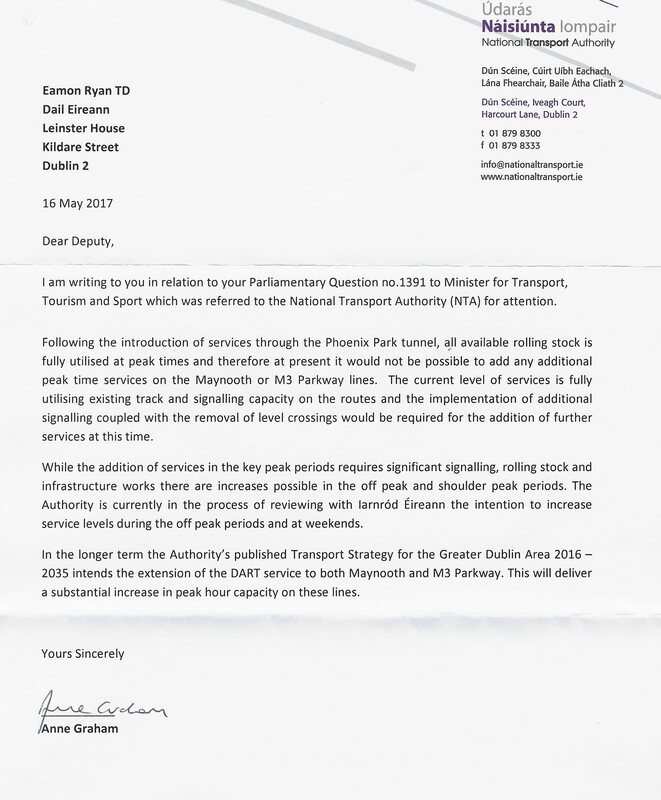 I recently asked Eamon Ryan TD to put a question to the Minister for Transport about increasing capacity on the Maynooth line at peak times. 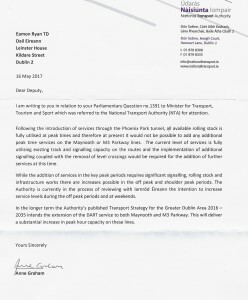 The question was responded to by the National Transport Authority (NTA). 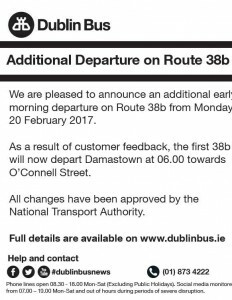 I’m delighted to see that Dublin Bus has announced a new early morning 38B service. 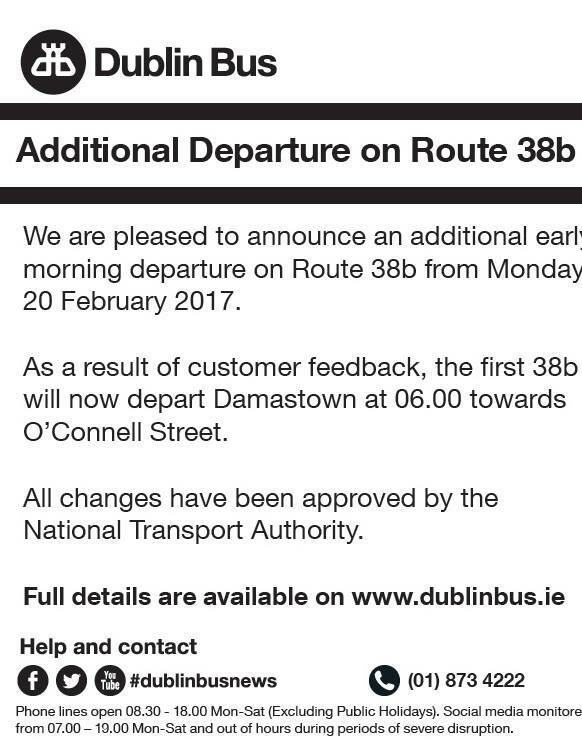 The bus will leave Damastown at 6:00am.